Rich Ricci, former BetBright Executive Chairman, has partnered with BetVictor, one of Europe’s leading online gambling companies, to announce a plan which will enable former BetBright customers to have their Ante Post bets reinstated. Former BetBright customers that had Ante Post bets (excluding Cheltenham Festival) voided when BetBright ceased offering gambling services on 5th March 2019, may choose to have their bets reinstated with BetVictor by 4th April. To do so, customers will be required to have a valid account with BetVictor – more information can be obtained here. Director of Sportsbook at BetVictor, Matt Scarrott said: “We’re happy to be supporting Rich to address this situation, enabling former BetBright punters to reinstate their Ante Post bets via our BetVictor betting platform – we’ll make the process as simple and frictionless as possible to provide customers with an enjoyable betting experience with us”. Will BetVictor honour all my outstanding Ante Post bets? Includes all bets that were voided when BetBright ceased offering gambling services on 5th March 2019 and were due for settlement after the 5th of March EXCLUDING Cheltenham 2019 (because 888 have settled those) including winning bets. When will my bets be settled? When the event you have bet on is complete. I don’t have a BetVictor account what should I do? Open an account at BetVictor and then contact us with details of your bets. What if the result is already known? The bets will be honoured whatever the result (with the exception of Cheltenham 2019). Can I use my existing BetVictor account? Can I cash my bets out? Cash out is available on selected markets. Why are BV doing this? 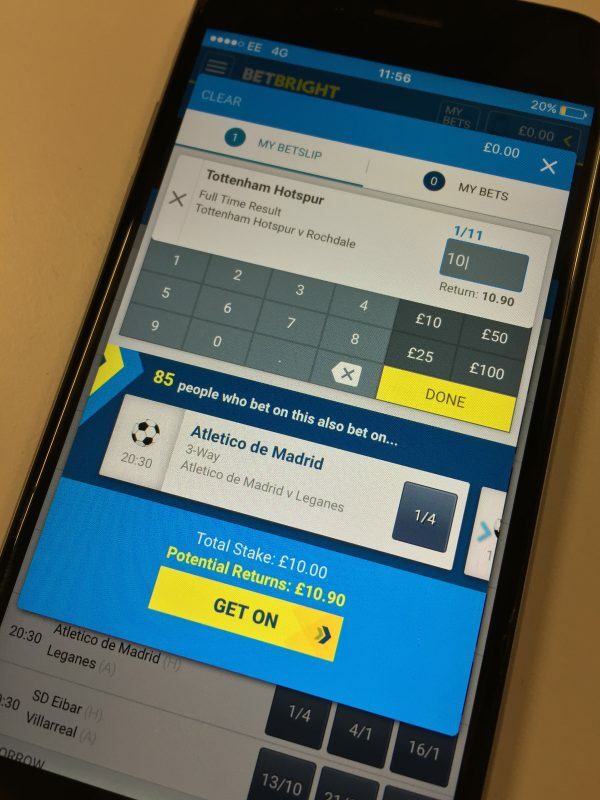 We feel that customers should always be able to place a bet with full confidence that they will be paid in full if successful so we’re pleased to have found a solution to help the customers affected. What if I am self excluded? This offer is not available to any customer that is self excluded with either BetBright or BetVictor. What if I can’t access my BetVictor account? How will I withdraw my winnings? You will have to register a valid payment method and pass our standard KYC procedures, then we will send you your winnings. How do I fund any unsettled bets? You will need to make a deposit into your BetVictor account to cover the cost of the bets in order for them to be reinstated. Can I use the funds from my BetBright account to fund these bets? There is no facility to transfer funds from BetBright to BetVictor. You would need to withdraw funds from BetBright in order to deposit them with BetVictor. Crystal Palace will let their prized assets Wilfried Zaha and Aaron Wan-Bissaka leave this summer but only if their valuations are met - which would mean over £100million. A look at Wednesday's racing action including Day Two of Newmarket's Craven Meeting.